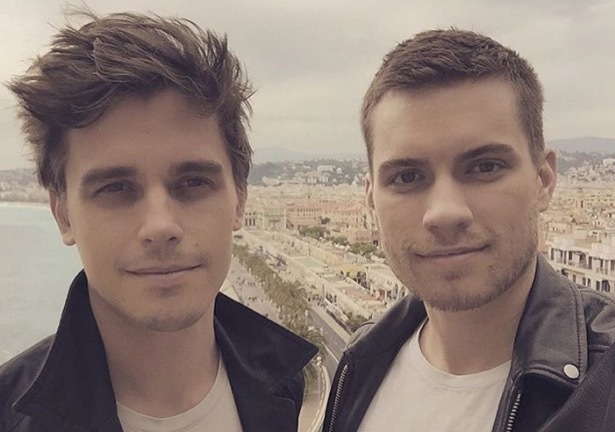 Does Antoni from “Queer Eye” have a boyfriend twin? An investigation. The return of Queer Eye (sans ‘for the straight guy’) on Netflix has sparked some thoughtful debate about the cultural relevance of this type of programming. We were awfully skeptical about the revamp, but there’s also something about it that strikes an emotionally satisfying chord. It’s also sparked some less-than-thoughtful debate, and that’s what brings us together now. Oddly, it centers around the otherwise-unassuming food guru, Antoni Porowski. Junkee asked this extremely unimportant and amusing question: Can he actually cook? The man sure does love avocados. And here’s another Porowski debate that has us divided: Does his admittedly cute boyfriend, Joey Krietemeyer, count as a boyfriend twin? It’s like the great “blue and black vs. white and gold” dress debacle of 2015 all over again. Except not even remotely. Always an honor to walk next to this one ? Is it because they’re both narcissis or is it just something that happens…is anyone’s guess. It would drive me personally nuts, but if it works for them, that’s all that matters. I see a good looking guy attracted to another good looking guy. PERIOD! Stop projecting guys. He sure doesn’t seem to have any great expertise. Then again, he’s the only eye candy on the show, and the only one who isn’t seriously annoying. I agree with you all points. The new version of the show does nothing for me. Not “boyfriend twins”. Maybe “boyfriend 2nd cousins” at most. They are (presumably) similar age, similar build and are groomed somewhat similar. They definitely have the same dress style in the pics shown, although I wonder how many pictures they have not dressed similar that aren’t curated into this article (but cbf looking for them). If they were dressed in completely different clothes in pictures I doubt most people would call them boyfriend twins. 2nd cousins? They even make the same face in every pic… You can go to their instagram account and see for yourself. Like I said before…it’s totally creepy BUT you do double your wardrobe at half the cost. Got to love frugal gays. gross, i really don’t get this trend of being with someone that looks like you. It’s weird and narcissistic. it’s definitely creepy…on the other hand, you do double your wardrobe at half the cost. Stupid idea. Two Caucasian guys with similar haircut that’s all. It’s same drama like seeing two Asian guys, since to different races they “look the same”. His bf is Polish descent, and he’s American, so don’t know how they could be twins.